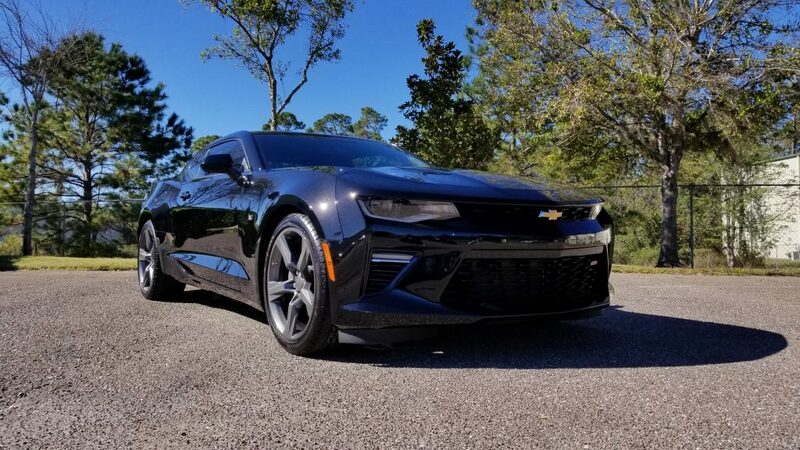 Next up is a 2017 Mosaic Black Camaro 2SS. This client came in looking for a ceramic coating for long term protection for his vehicle. He also had some curb rash on his factory wheels. 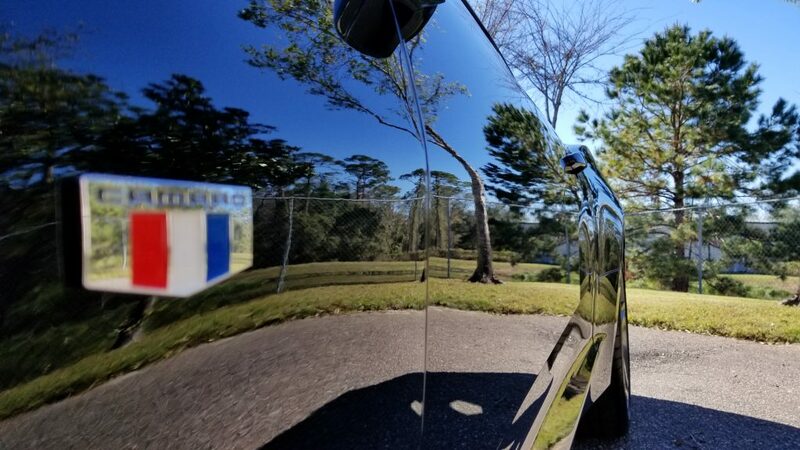 The paint already had some pretty extensive damage, so we determined we would need to do a Full Paint Correction to revitalize the clear coat and really make the metallic paint pop. 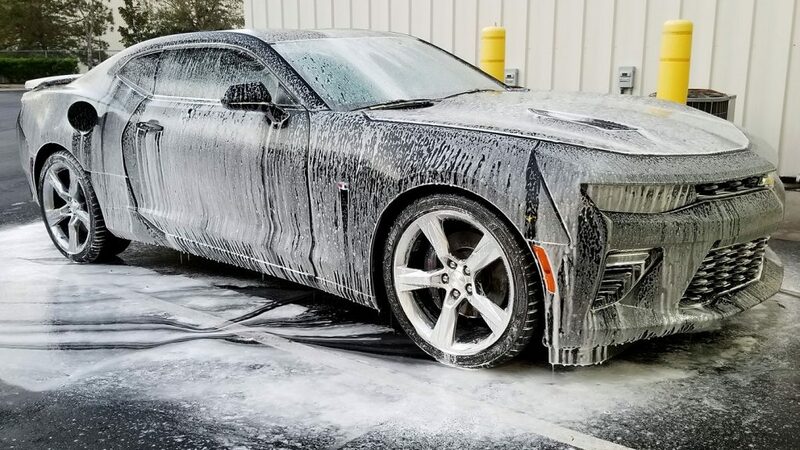 We did a decontamination using CarPro Iron X. Traditionally, clay bars are used to remove decontaminates from the surface of paint, but that doesn’t remove the root of the problem. Iron X contains unique chemical ingredients that dissolve sintered iron that has penetrated the paint surface. It forms into a water soluble complex that can be rinsed away. 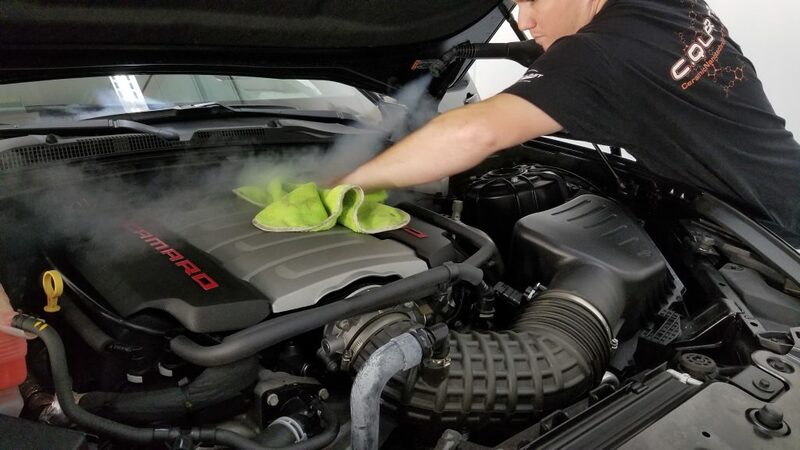 This process isn’t abrasive like clay bars, which leaves less marring in the paint. We followed the decontamination with a foam bath hand wash and blow dry. 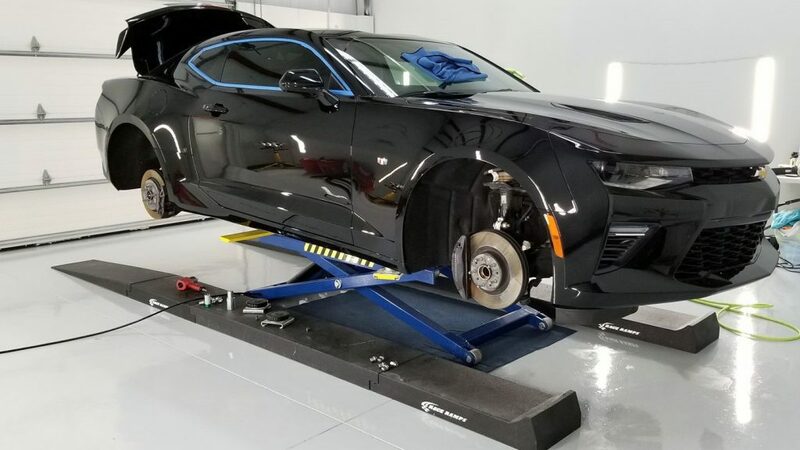 Before we started the paint correction, we removed the wheels and took them down to a shop that specializes in rim repair and powder coating. Since he was already getting the wheels fixed, the client decided to do a color change on the wheels as well. A full correction requires multiple steps. 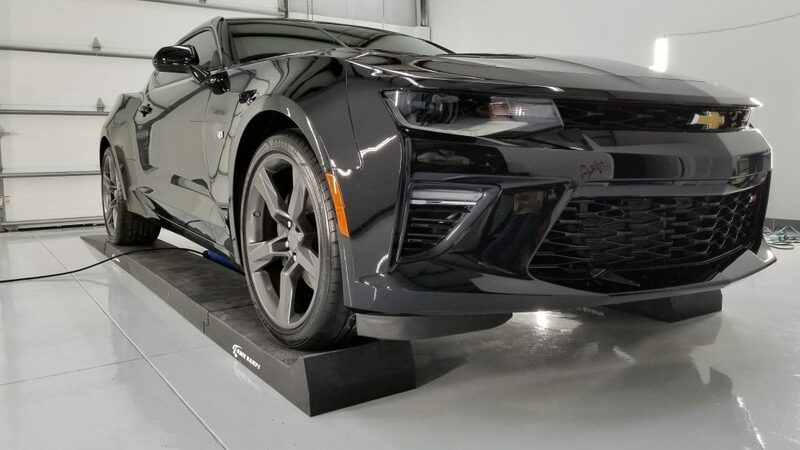 The first stage of a full paint correction is the compound. We use a medium cut compound to remove moderate scratches and wash induced marring and swirls. 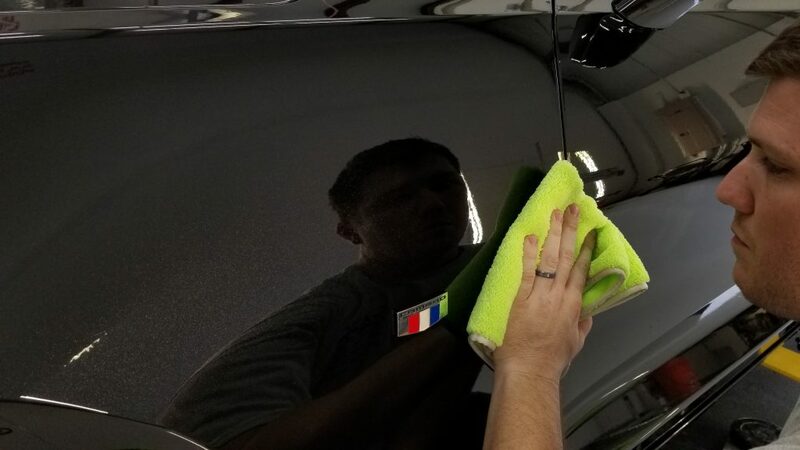 The second stage is a final polish with a fine grade product. 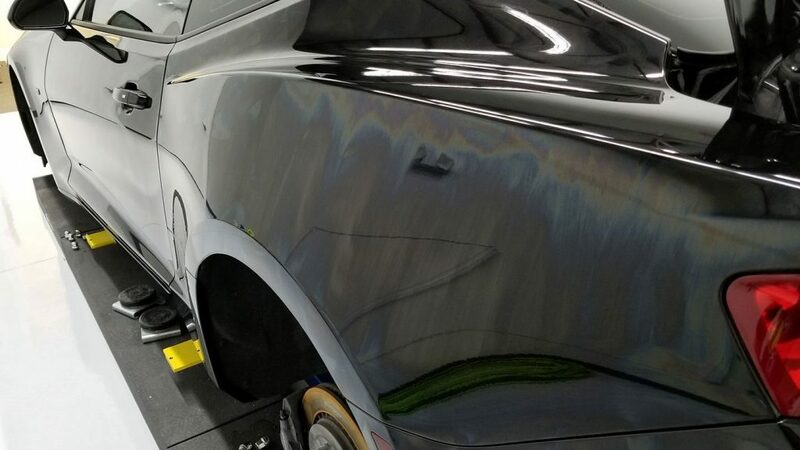 We do a final polish to refine the paint and create more depth and gloss in the clear coat’s finish. We then removed all of the polishing oils from the paint in preparation for the ceramic coating. 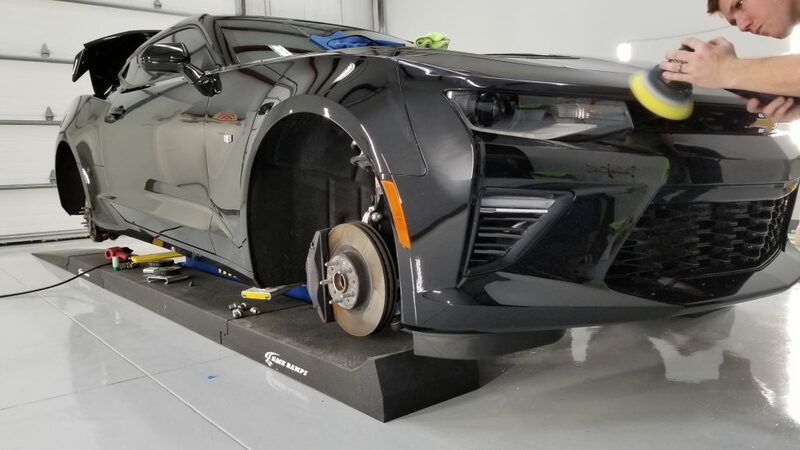 When we were done with the paint correction, the wheels were ready to be picked up. 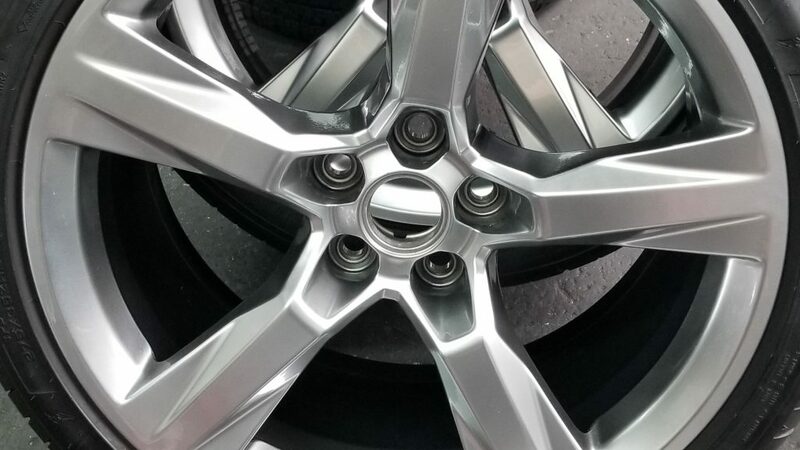 After an inspection, we prepped the wheels and calipers and coated them with C.Quartz Finest Reserve ceramic coating. The entire car was also coated with two coats of Finest Reserve. We heat cured the paint with IR lamps to 140 degrees to speed up the curing time and ensure long term durability.